Once again, I'm participating in Top Ten Tuesday, a fun and popular bookish meme hosted at The Broke and the Bookish. This week, we're talking about books that we found hard to read. My list is split up into three categories; when I find that something's hard to get through, it pretty much always has to do with emotional content, the writing style, or the pace and characters. I didn't include books I didn't finish in order to narrow the list down, and keep in mind though that just because some of these books were difficult for me to get through doesn't mean that I didn't like it. Some of these books are favorites of mine... And others are least-favorites that I didn't care much for at all. 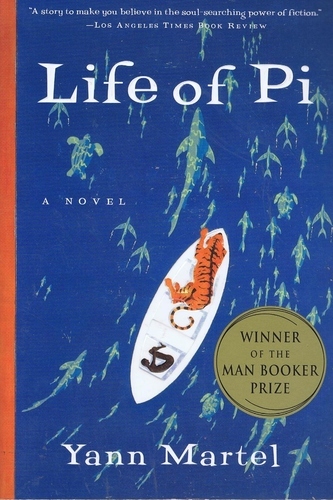 Life of Pi is split into three parts. The first part has a lot of tidbits of Pi's childhood, his beliefs on certain things such as zoos and religion... The need-to-know stuff before you get to he second part. I didn't find any difficulty with reading this first part. I also didn't find it hard to get through the second part, which is the primary part of the story. But then part three happened AND I COULDN'T SEE PAST MY TEARS AND WAS CONFUSED AND DISTURBED, which caused me to read very, very slowly. It was hard to get through that last part. *I gave this 5/5 stars on Goodreads. I feel like I'm the only one who found it kind of difficult to get through this one. It's universally acknowledged that The Perks of Being a Wallflower is a masterpiece and has a lot of feels, but the themes of this book just really hit me unlike any other novel. I've known people who have experienced similar types of trauma described in this, and Charlie's raw narrations hurt my heart. This is such a small book; anybody would be able to read its 100-ish pages in a setting theoretically; however, the content is just... It's a lot. And its awful. It's a Holocaust autobiography, so that's to be expected. Someone's account of their time in concentration camps is bound to stir a lot of emotions, and even though I had to read it chapter-by-chapter for school, I don't think I would've read a lot of it in one sitting anyway because it would've overwhelmed me. I love The Lord of the Rings. Granted, the books were written in a passive style and I prefer the masterpiece movies, but I still enjoyed the trilogy. The Hobbit, on the other hand... I just couldn't get into it. It had potential, but it just wasn't written to be vastly entertaining as much as it was written to be descriptive, and the stronger plot points were glossed over. *I gave this 2/5 stars on Goodreads. This book sounded like a fantastic idea. I mean, come on, Stephen King and vampires? That's got to be awesome, right? Unfortunately the combination didn't work for me. It felt very slow-paced and ramblesome throughout the book, and it caused me to not like it as much as I probably could have had it been written and generally executed differently. I enjoyed The Scarlet Letter. It's a fantastic idea and has plot twists, but I struggled with it at times. Nathaniel Hawthorne's writing didn't try and reflect his own time period; instead, he tried to embody the language of the Puritans, since that's who he was writing about. It was... well, kind of dull. Very ramblesome. It took a while for me to read despite being a small book, but like I said, I liked it overall. *I gave this 3/5 stars on Goodreads. Their Eyes Were Watching God basically has two different writing styles: The style used for the narrative and the style used for the dialogue. The writing in the narration is absolutely beautiful; I had no trouble at all getting through that. 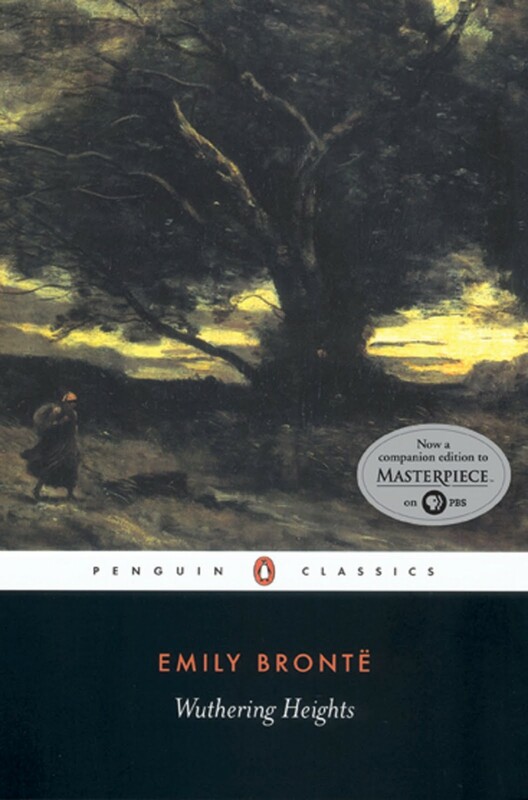 Even though the type of dialect depicted in this book is found off and on throughout literature, the way it's presented in this novel is different. I don't mean that in a bad way, but it just took some getting used to before I could read through the dialogue at a decent pace. It took me a really long time to get through Wuthering Heights. Like, a really long time. A lot of people seem to discuss how awful Heathcliff is, and even though Heathcliff certainly is flawed, the only character I had a major problem with was Cathy. I didn't understand her at all and she just kept ruining everything! So between her and the slower pace... It was definitely a project. But I liked it in the end; I just had to wait until I could finally grasp Cathy. *I gave this 4/5 stars on Goodreads. *I gave this 1/5 stars on Goodreads. Can you guys relate to any of the problems I described? Were any of these books hard for you to get through? Let me know in the comments and feel free to leave me the link to your Top Ten Tuesday list. I totally forgot to put Wuthering Heights on my list. Hate that book, so hard to like the characters. I felt the same way about Life of Pi and the 2nd & 3rd book of Shiver were a huge disappointment. I felt Gone by Michael Grant so difficult to read... I really didn't get it!